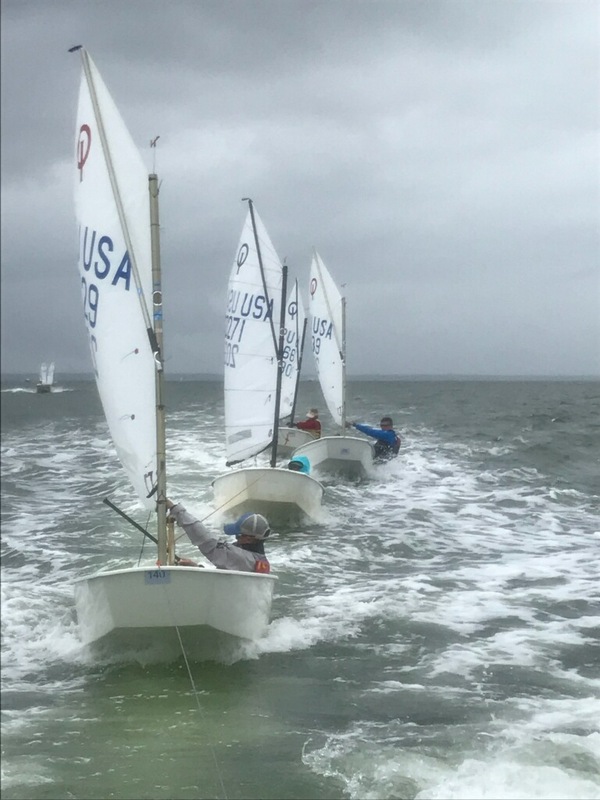 Little Egg Harbor YC, NJ –September 23 Another Optimist Atlantic Coast Championship is in the books; 21 Green Fleet sailors and 149 Championship Fleet sailors enjoyed 9 and 6 races, respectively, at the well-organized and friendly Little Egg Harbor Yacht Club on Long Beach Island, NJ. Conditions on Saturday started out promising; a nice fresh northerly, 11-16 knots, healthy shallow-water chop, and partially sunny skies. Teams queued up for the long tow to the race course with great anticipation, and the RC was on station and ready to go right on time. Normally a shallow body of water overall, those not from this area learned quickly that shoals and channels were not where our chartplotters said they were. Hurricane Sandy wreaked havoc on this bay; new government marks, still not on chartplotters, marked new channels, and many of us ignominiously found the bottom on our way out, and in. The RC was able to get in 4 races on Saturday for each flight, with only one race baffled by shifting, inverting, then dying winds. 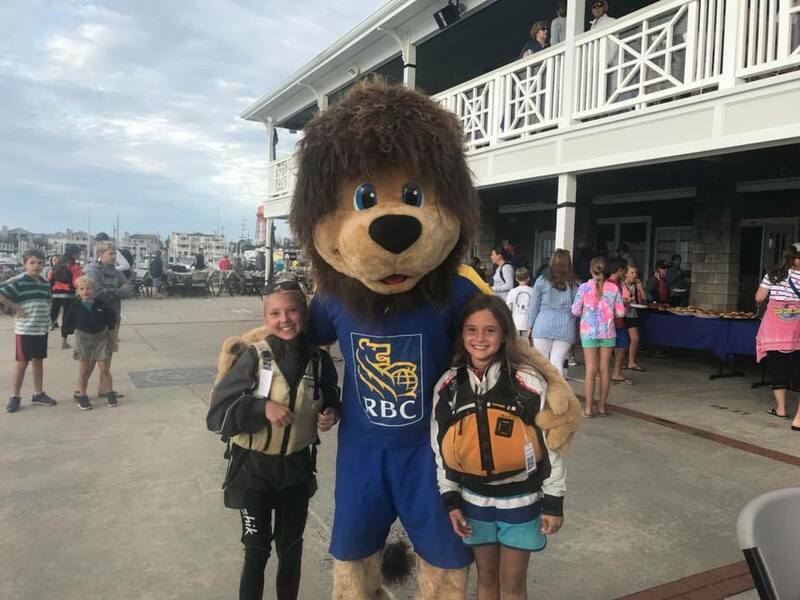 Sailors were treated to a welcoming feast on shore after sailing, and club volunteers did a great job helping all 170 competitors find their way out of the water with ease and efficiency. When towing at LEYC, follow the locals! Sunday was a different day. Rainy and cool with a light NE wind, sailors rigged as rain fizzled about. The RC worked hard on this day to get in 2 races per flight, chasing a light, veering and fickle NE-E wind and battling an ebbing tide, twice abandoning races that weren’t meant to be. In the end, Tommy Sitzmann of Annapolis, MD edged out Worlds Team teammate Thommie Grit by just one point. These two put on a show, dueling against each other and both putting down aces in their last race, to keep the fans nervous and excited. 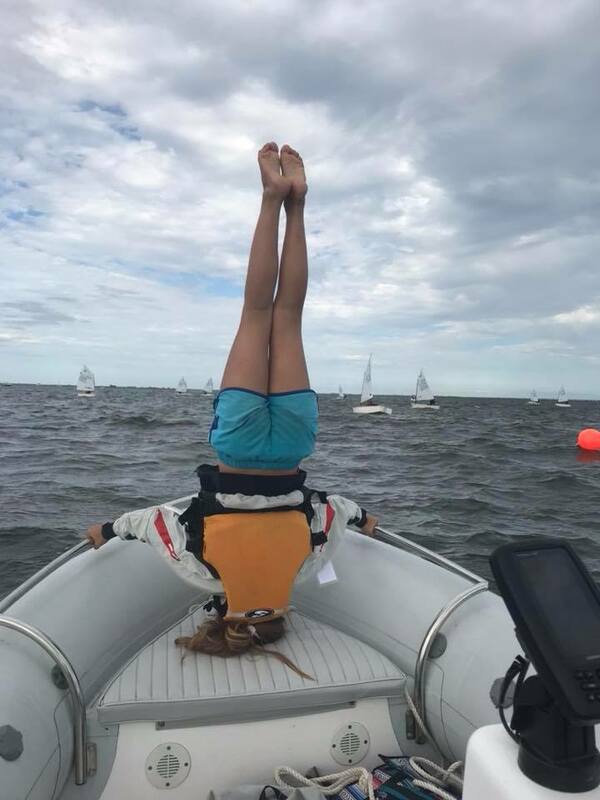 Samara Walshe, an impressive sailor from Edgartown YC, earned 3 awards at this event: top girl, 3rd place overall, and first place in blue fleet(by a long shot). Speed and smarts in fact is gender blind in the Optimist class, with 3 of the top 6 places in the regatta claimed by girls. 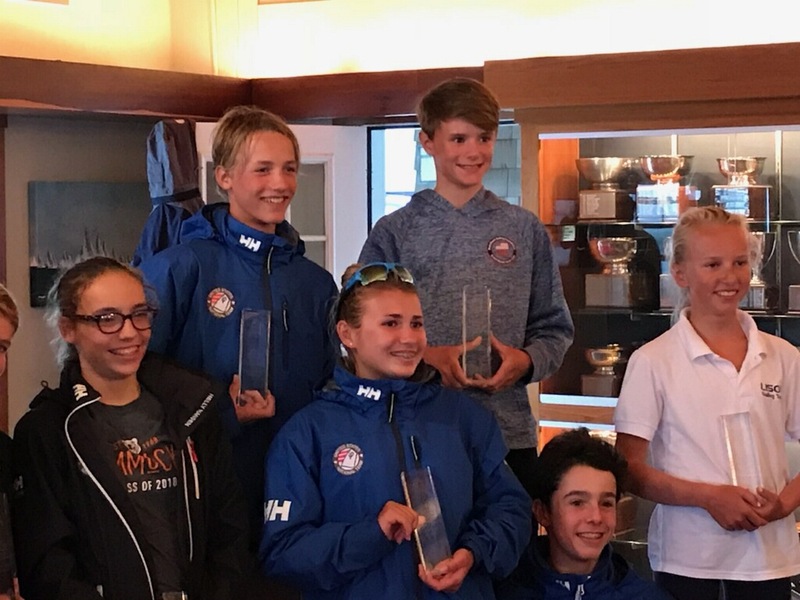 Another well-run event for USODA and the LEHYC; the club apparently had 100 volunteers orchestrating this regatta, and it showed. From rigging space, parking, logistics, food and drink, social time, and of course sailing, this was a great event.